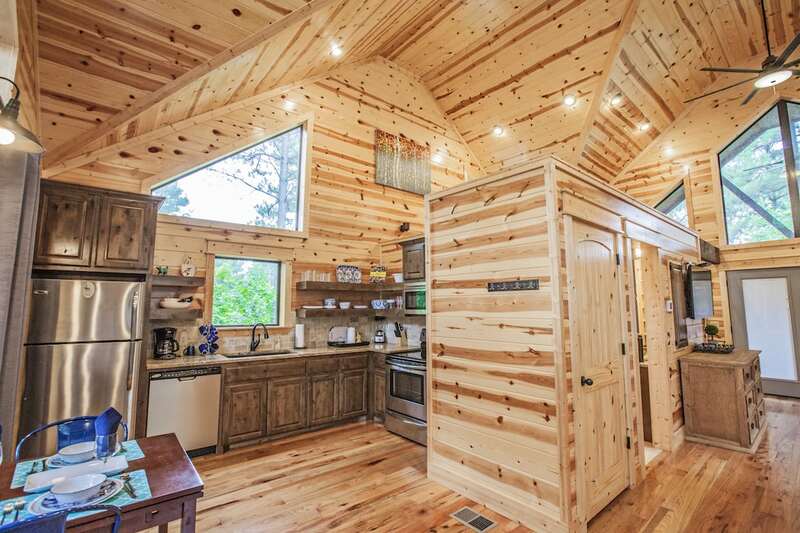 One-Up is a one bedroom luxury cabin where you can get-away and indulge your body and soul between the hurried days of life. 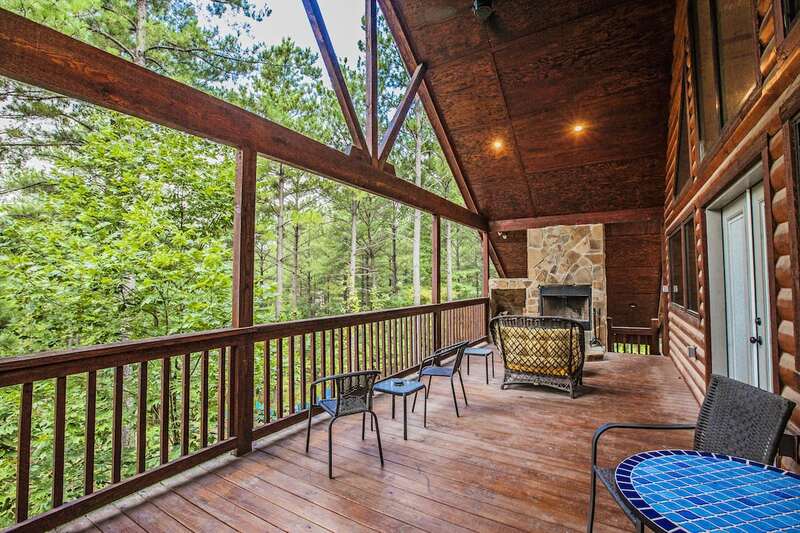 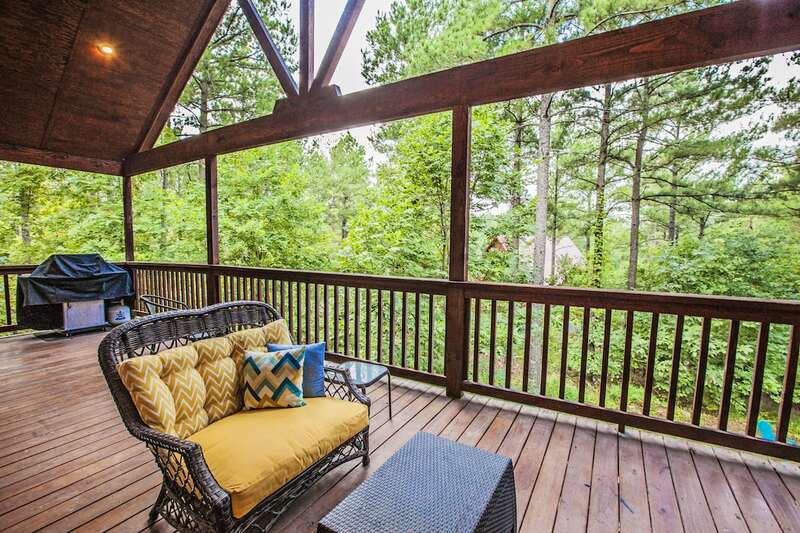 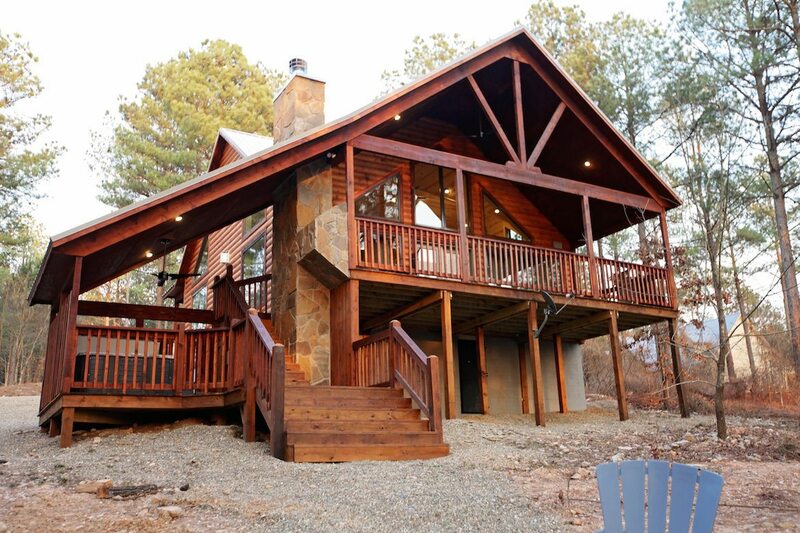 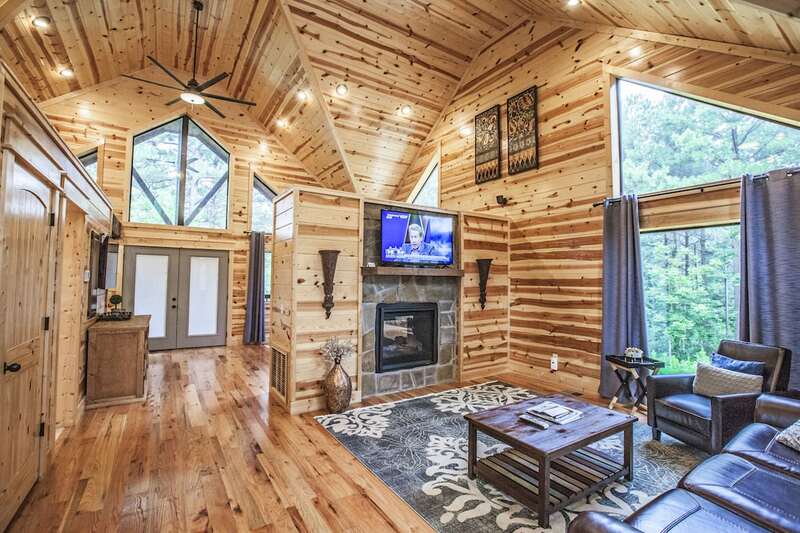 You can relax and enjoy the beauty of the surrounding trees and hills from a covered back deck while sipping drinks in front of the wood-burning fireplace. 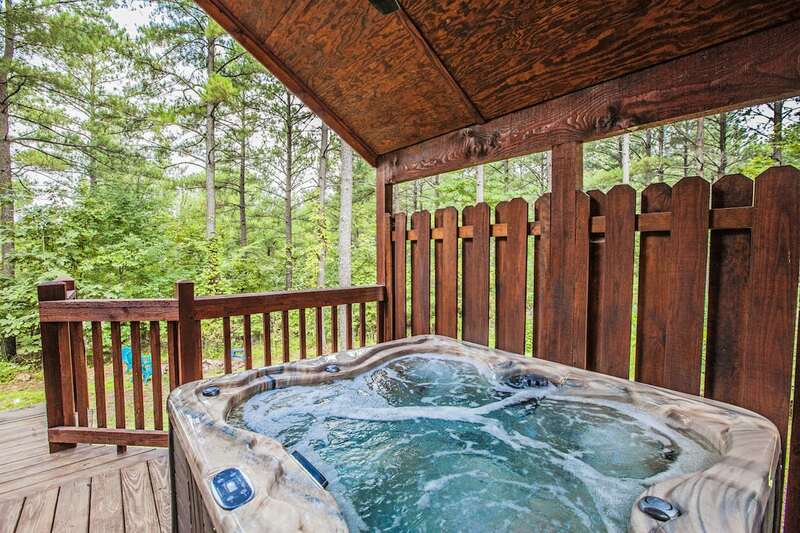 We recommend that you disconnect from the world for a few days, but if you desire, it has the latest technology throughout for those who want to stay connected. 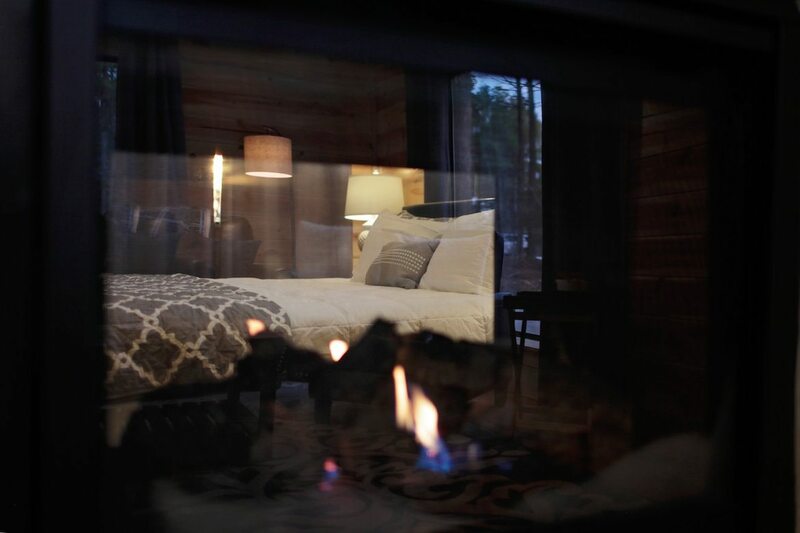 One-Up gets its name from its size (One) and location (Up on a hill), as well as a testimony for the finest details in luxury and design that go “one-up” on the competition. 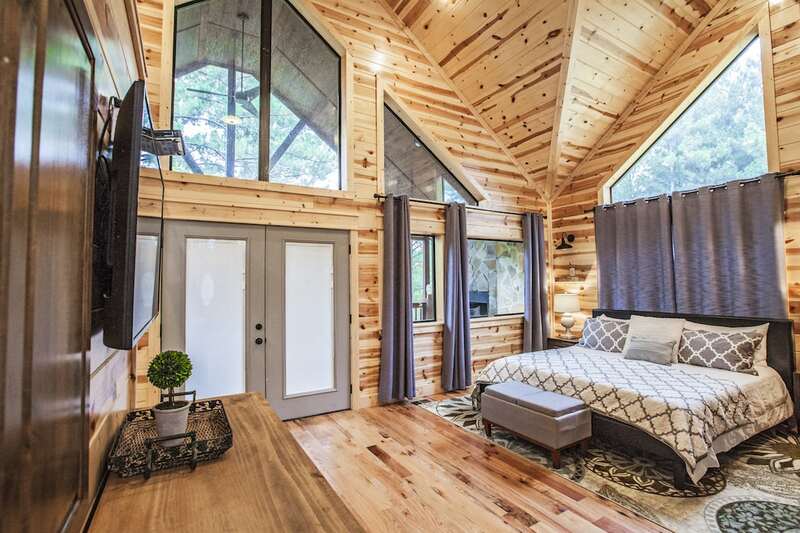 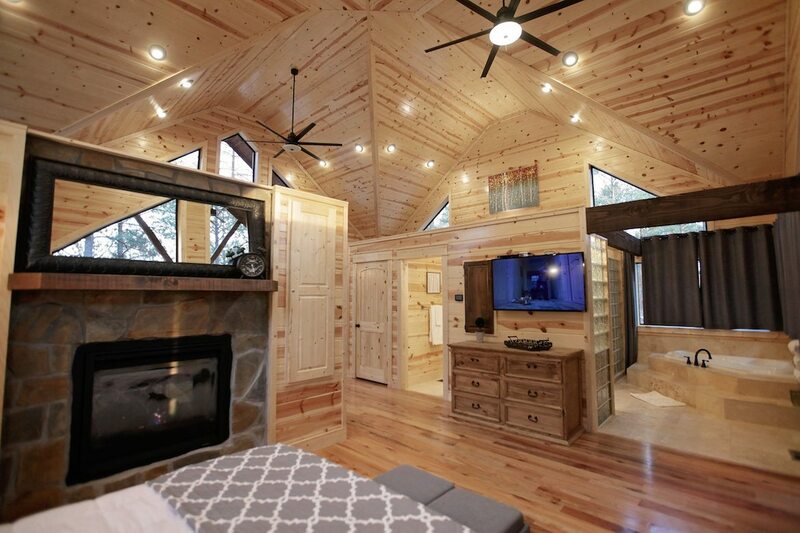 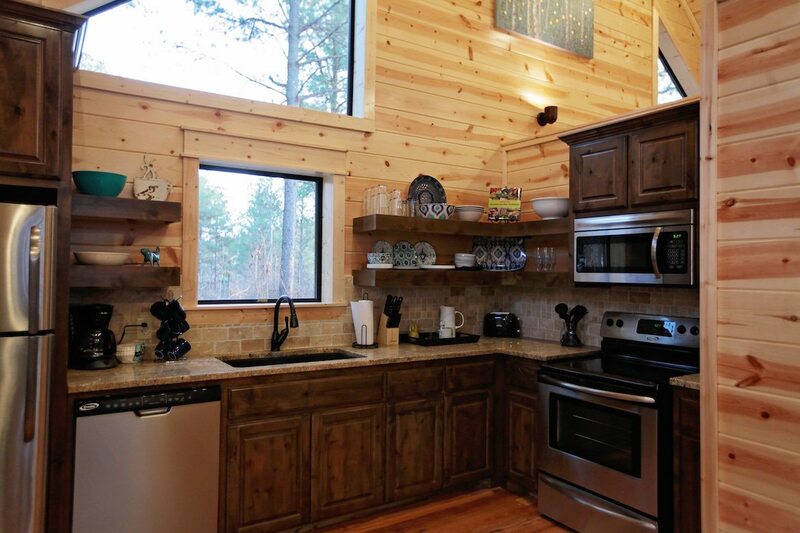 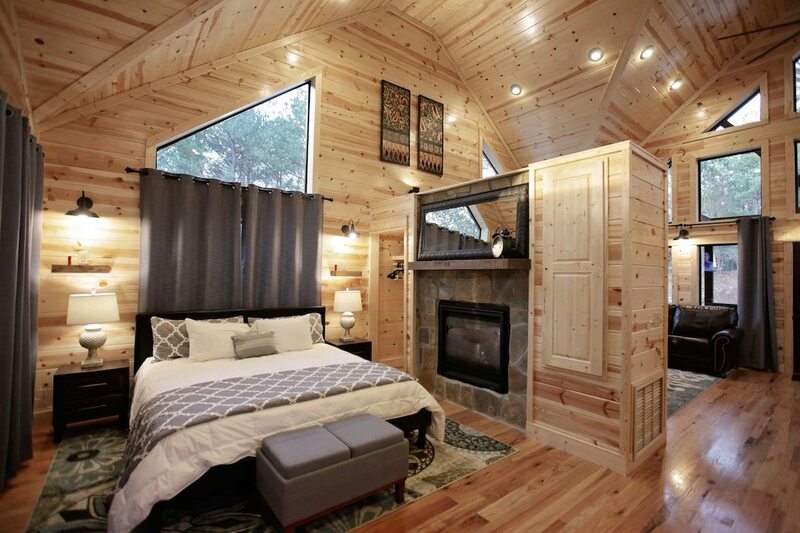 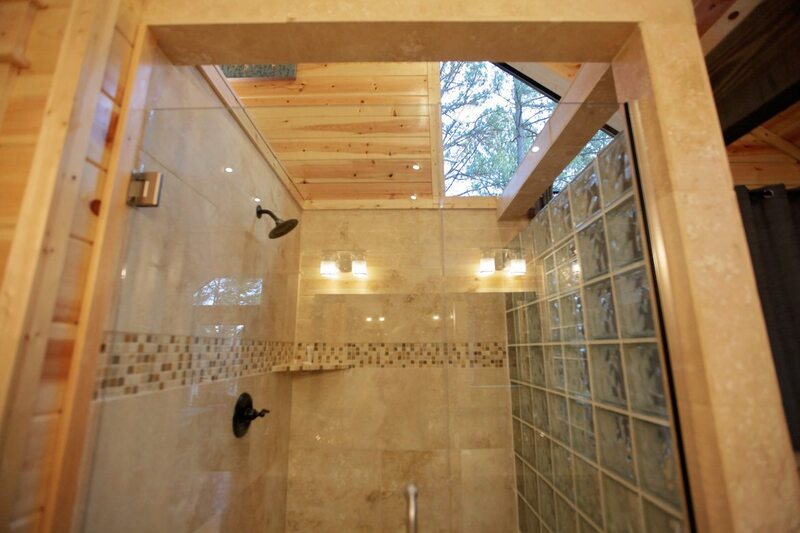 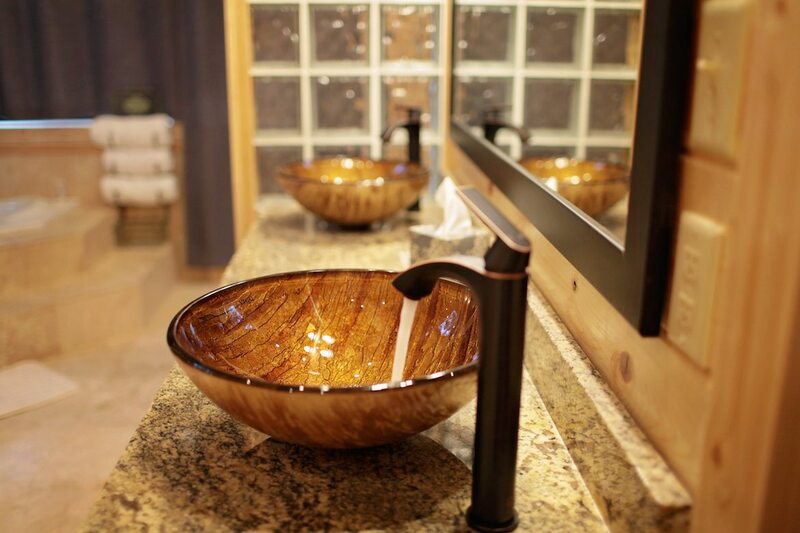 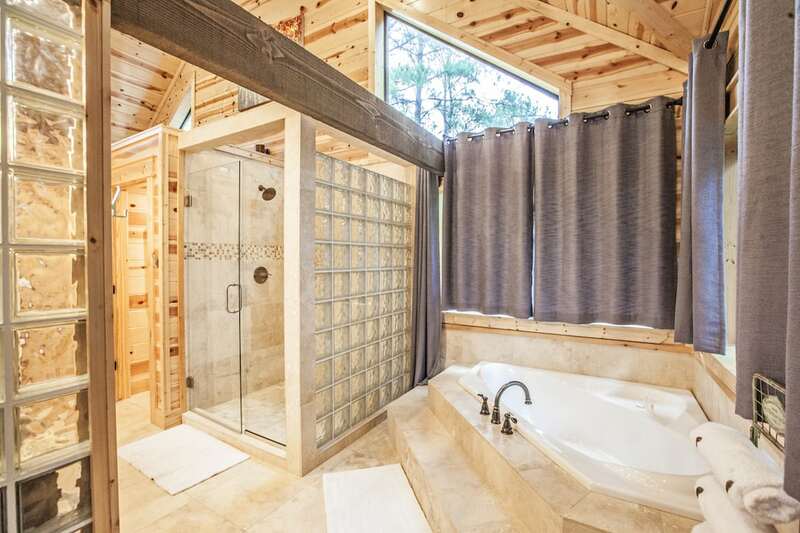 It is larger than most other one bedroom cabins, and features high open ceilings throughout for lots of natural daylight, a private indoor tub, a private covered outdoor hot tub, an indoor see-through gas fireplace, and a wood-burning fireplace on a covered back deck. 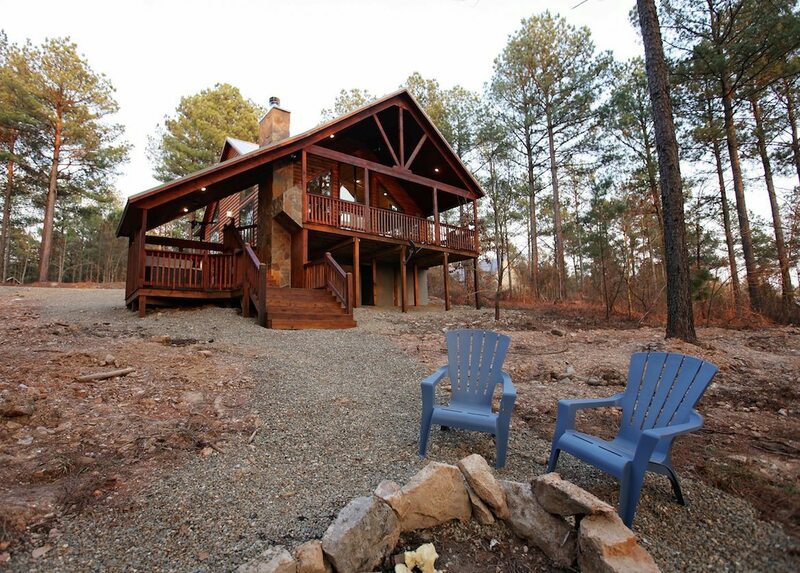 It offers something for romantics and stargazers alike to relax and pamper yourself. 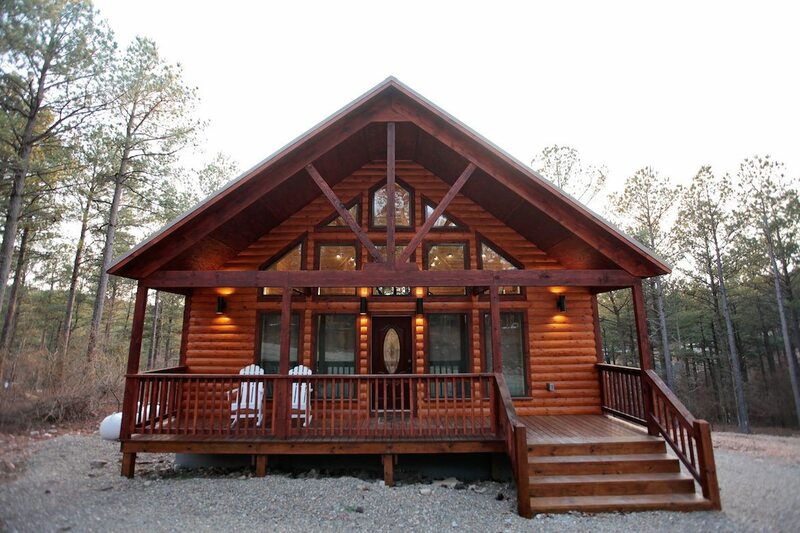 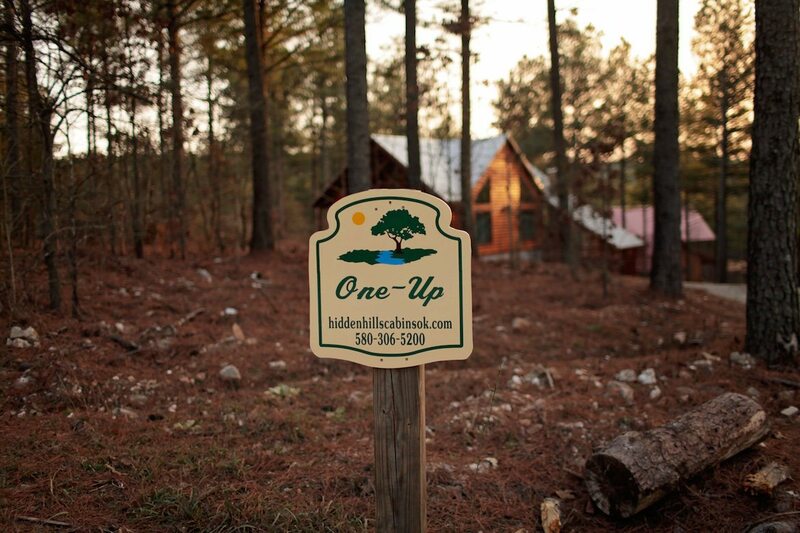 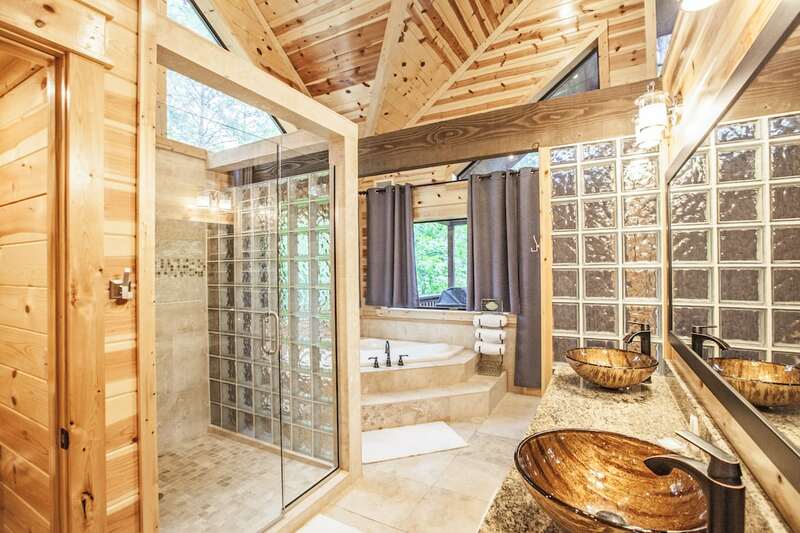 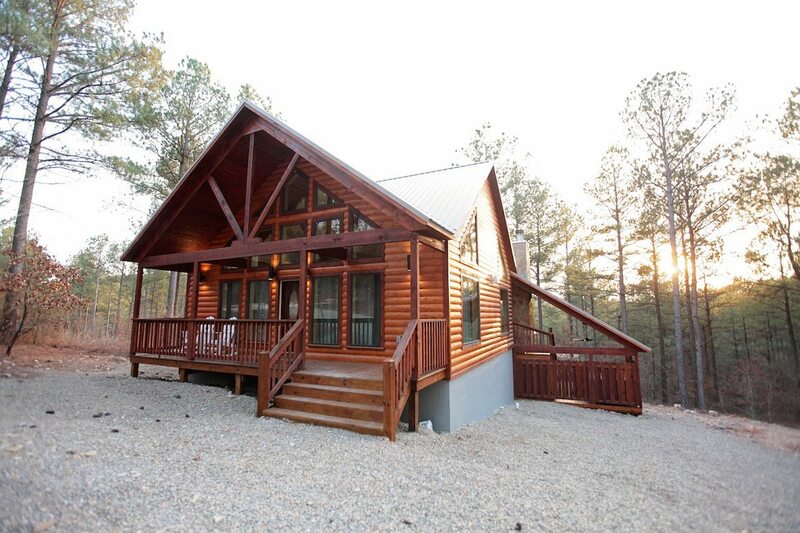 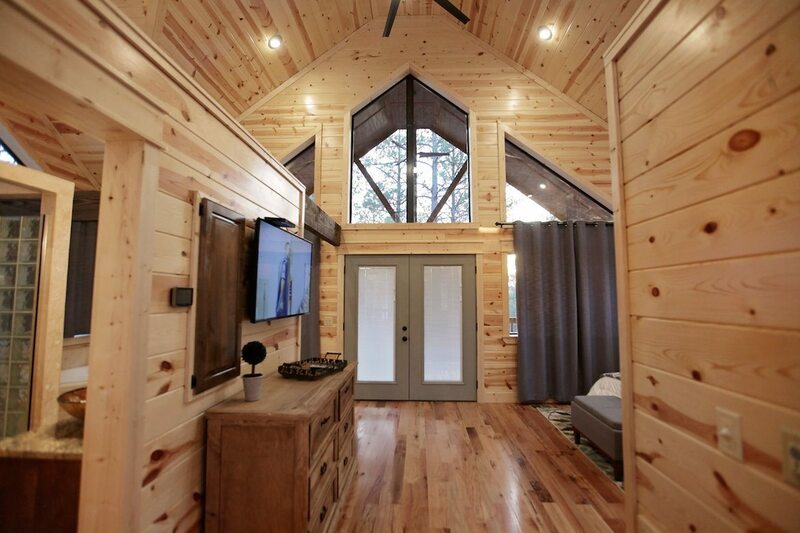 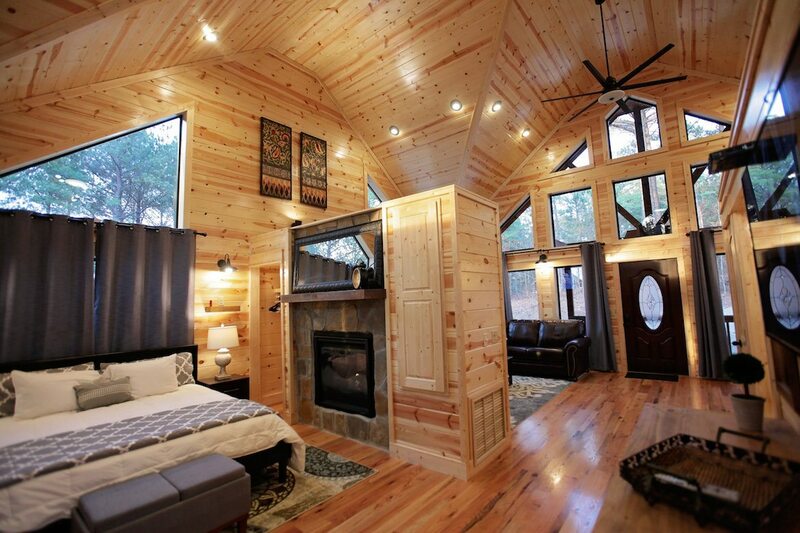 Stay at this cabin and “One-Up” your vacation.